The world is becoming undoubtedly more digital — but is it all becoming a little bit too much? Businesses worldwide are using email as their main focus point for brand awareness to consumers who are likely to purchase already. However, a company must understand a consumer’s thought process and this can prove to be a challenge. In the UK, 70% of the public claim they receive “too many emails” — which is true. Every year, 74 trillion emails are sent and their average lifespan if two seconds. With this knowledge, it might be time to rethink your email marketing strategies to ensure the best results possible from your campaign. In contrast, there are only 13.8 billion letters delivered each year (over 12 million are direct mail) and have an average total lifespan of 17 days — considerably longer than emails that arrive in our inbox and don’t take up any physical space. Does this prove that delivered letters hold more effect than something we are always able to get to on any electric device? According to research, direct mail is more memorable, as 75% of people asked could remember the brand after reading. This is an astonishing figure when you look at the amount of people who could remember the brand after reading a digital advertisement — which was as low as 44%. This research also states that email is being outperformed by direct mail marketing in every area. Seventy-nine per cent of consumers action direct mail straight away, while only 45% of people do so for email. This is probably down to the opening process — if you’re opening a physical letter, you have the intention to read it. Tapping a screen to access a new email in your inbox is effortless, and deleting it forever takes no real time either — this could be the reason why it is proving to be less effective. You can expect an average response rate of 4.4% from direct mail. Emails hold the lowly response rate of only 0.12%, showing that more people interact thoroughly with a physical object than with something that just appears in their online inbox and can be deleted instantly. However, it’s also important to remember that direct mail pulls in a total of 34% of customers, while email only pulls in 24%. This is a shockingly low figure when 57% of all email addresses are abandoned because of too many emails. Imagine this: there are over 1,000 members on your company’s mailing list but over half of them aren’t responsive. This does not make a good investment, especially when the cost per acquisition is higher for email at £42.55 in comparison to direct mail which is only £39.59. The Royal Mail states that when it came to communicating with customers, over half (51%) of their audience prefer a mixture of both forms of contact. However, 56% said that they felt valued when they received a letter in the post. It is beneficial to know that when both are used together, it can inevitably increase brand awareness, ROI and the overall customer experience. What Should Your Printed Materials Give To Your Audience? To target an audience, you must understand their wants and needs knowing what they want and what they need — and marketers shouldn’t be thinking about what they need from them. They’re the focus, so don’t try and sell them your product — sell them an idea. Your customer doesn’t want new shoes, they want to look stylish. Creating a marketing piece that has no substance and therefore doesn’t offer anything is a waste of time. You need to find an existing audience and know what appeals to them. Play on their emotions, because once they become invested into your product, they will make the logical decision to convert. Your direct marketing should give them the urge to know more and this can be achieved through the use of bright and bold colors throughout your printed piece. It’s important that you make your leaflet, brochure or poster stand out! Be sure you create copy that says exactly what you want it to. This will give your potential customers a greater insight of what you want them to know. Be persuasive, be intriguing and don’t forget to accompany this with bold and beautiful lettering. It’s crucial that your design is error free as one mistake might cause all your produce to be flawed, which would equal a waste of your marketing budget. Are you now thinking about changing your strategies? Print marketing requires gathering consumers’ data which means that you must be compliant with the new General Data Protection Regulation (GDPR) which was enforced on May 25th 2018 by the European Parliament. 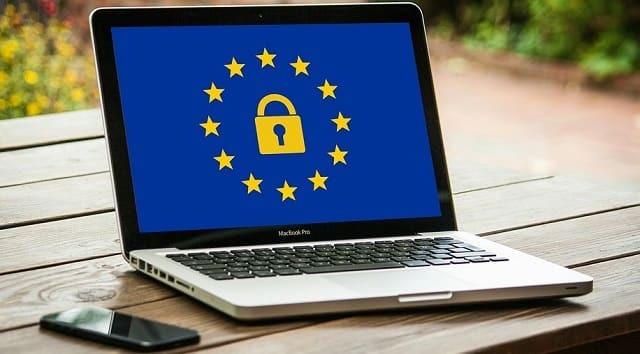 Although we are set to leave the European Union after the Brexit vote, this legislation will be adopted by Britain and will replace the Data Protection Act of 1998 in hopes to unify and strengthen data across the continent. Part of the regulation states that, ‘processing of personal data for direct marketing purposes may be regarded as carried out for a legitimate interest’ —referring to the processing of personal data. But, does this have an effect on print marketing and more specifically, direct mailing? In short, yes. It means that you must seek consent to process the data required for mailing (names, addresses etc.) which could be achieved by an ‘opt in’ process. This may be problematic for companies that send out specifically addressed mail. Alternatively, sending out unaddressed mail to your target market is acceptable as it does not involve the handling of sensitive data — appropriate for marketing campaigns that select their demographic based on geography. Even if you use cloud or off-site storage for your data, it’s important that you comply with the regulations or you are likely to face the harsh penalties that could be four per cent of your business’ annual global turnover or €20m — whichever is greater. Familiarise yourself with GDPR before you continue any print marketing efforts and make the appropriate changes to become compliant today. I hope you enjoyed this article about the effectiveness of print marketing and how to maintain GDPR business compliance. Interested in more articles about marketing and GDPR?